Sony Pictures has released a brand new trailer for The Girl in the Spider’s Web. 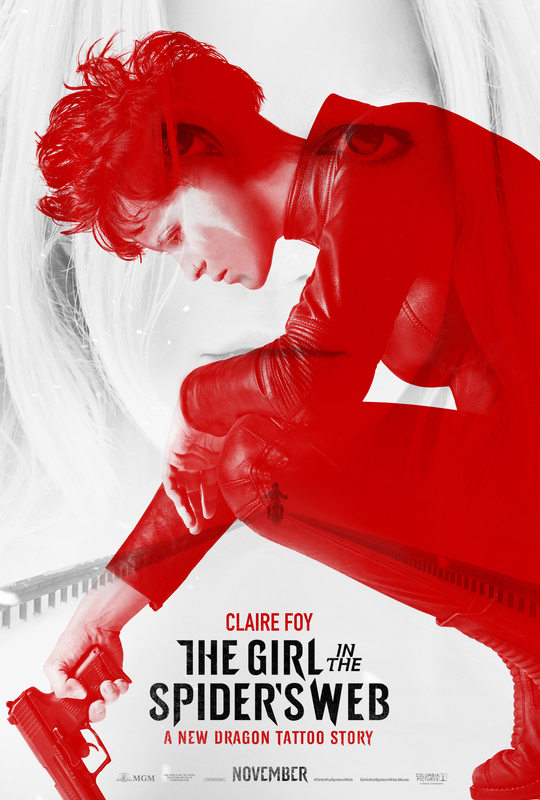 Golden Globe and Emmy-winning actress Claire Foy takes on the role of Lisbeth Salander, with the story following the vigilante years after the events of The Girl with a the Dragon Tattoo where a new mystery has risen from the ashes of her past, which includes Salander’s long-lost sister, a hacker vigilante, and a journalist. I was still up in the air after the first trailer for the movie, but I must say, I’m now much more into the idea of this film after seeing this new trailer. The teaser felt like it didn’t really know what it was yet, but the new footage that has been presented to us knows exactly what it is, and it’s quite fantastic. I’m invested in the kind of story that has been teased and the character of Lisbeth Salander is obviously extremely interesting, especially with someone with as talented as Claire Foy playing her. I haven’t seen the show, but I’ve heard that her work on The Crown is some of the best work on TV period, which is saying a lot these days. Teaming her with a director like Fede Alvarez (Don’t Breathe), who doesn’t shy away from telling the story he wants to tell, I’m very much looking forward to seeing what they can bring to the film. I hardly remember watching David Fincher’s movie from a handful of years ago. I will more than likely watch it before watching this new one, but in no way am I expecting them to be similar. Fincher and Alvarez are completely different filmmakers, and because it took Sony years to finally get this movie made, it evolved into something different through that process. I like what I’m seeing. The mystery element is definitely there, but I’m really hoping it just completely messes with my head, similar to what Fincher’s incarnation of the story did back in 2009. Check out the new trailer for the film below, and make sure to leave your thoughts in the comments below! Have you read the book series? Which trailer did you like more? Are you looking forward to it? Also starring Sverrir Gudnason, Lakeith Stanfield, Sylvia Hoeks, Stephen Merchant, Claes Bang, Christopher Convery, Synnøve Macody Lund and Vicky Krieps, Alvarez’s The Girl in the Spider’s Web strings up in theaters on November 9th.